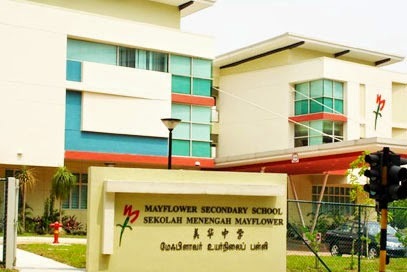 Mayflower Secondary School is located at 2, ang Mio Kio Street 21 in Singapore 569384. It is enclosed within the Ang Mio Kio Region. Ang Mio Kio is situated at the northern section of Singapore. It lies within the North-East region. It contains HDB houses, hawker centers and wet markets. Nearest MRT is Ang Mio Kio MRT and the closest bus interchange is Ang Mio Kio Bus Interchange. Amenities in the area include Ang Mio Kio Hub, Thomson Plaza and Sin Ming Plaza. Some of the schools close by are Ang Mio Kio Primary School, PEIRCE Secondary School and St. Nicholas Girls’ School (Primary).